Kalas is proud to support Kaeden Rhoads & the Kisses for Kaeden charity at the 2013 Lancaster Heart Walk; benefitting the American Heart Association. 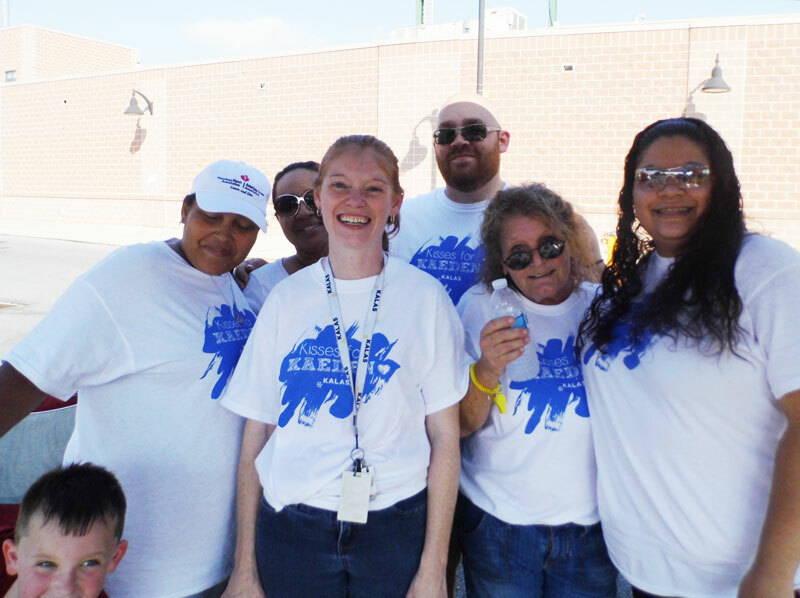 Joining more than 1,500 participants in this year’s event were third shift associates from the Kalas Lancaster facility, who were there to support fellow co-worker Carmela Kulish-Rhoads. Carmela’s 10-year old son, Kaeden was born with congenital heart defects. He has had four open heart surgeries; most recently a heart valve transplant on July 18, 2012. Inspired by her brother’s condition, Carmela’s daughter Kennedy felt called to action, and started charitable actions on behalf of her brother and other non-profit agencies at the age of only 6 years old. Kennedy, a 16-year old student at Penn Manor High School, is the founder of the “Kisses for Kaeden” charity & has raised nearly $200,000 to date. We appreciate and applaud the special work you do – keep it up!